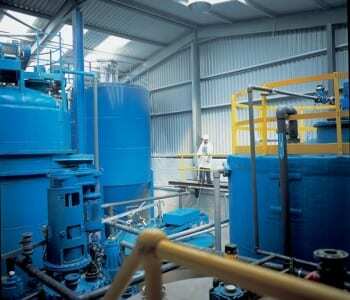 Irish Waste can provide the complete sewage treatment service. Irish Waste receive sewage sludge, screen any large contaminants and process the sludge through centrifugation this produces a process liquor and a filter cake which can be applied as a fertiliser, returned to the client or disposed of. All sludge recovered can be removed and treated on-site using a mobile de-canter unit that provides a de-watering and stabilising process that safely treats sludges and other organic wastes. The unit can process the sludge output of a plant serving a population up to 150,000, processing between 5-125 cubic metres per hour with 5% solids content. As part of the stabilisation process, we can add Bio Lime to the dewatered sludge. This causes a temperature rise to 70 degrees C which pasteurises the sludge, reducing pathogens such as salmonella and e.coli and reducing unpleasant odours. The remaining product can be used as an effective organic fertiliser or soil ameliorant. The de-canter unit can also centrifuge and process hazardous liquid sludges to produce an effluent liquor and a hard cake, both of which can be transported to our facilities for processing if desired.